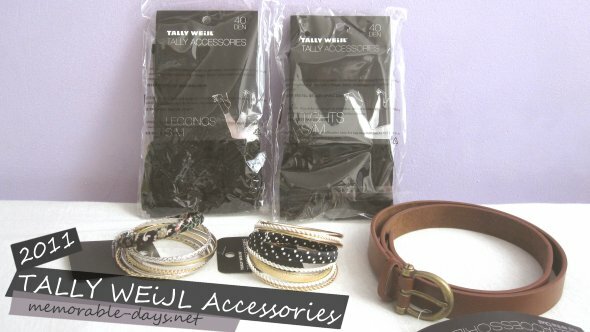 TALLY WEiJL Spring Accessories 2011 - Haul | Memorable Days : Beauty Blog - Korean Beauty, European, American Product Reviews. I got mailed by TALLY WEiJL again ^____^! They wanted to sponsor me a few items of their Spring Collection 2011 and I could even go to the nearest TALLY WEiJL store to choose a few products that I wanted. I was thrilled to go to the TALLY WEiJL store to check it out. Before I went there I already saw lots of cute items on their website that I wanted ^o^. OEH YEAH~ Check it out~!! I love the polka dot combination, it looks classy & cute together! 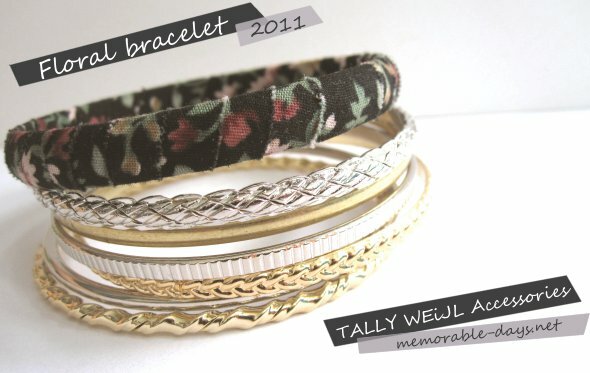 The floral bracelet is a bit vintage style :). Which one do you like more? 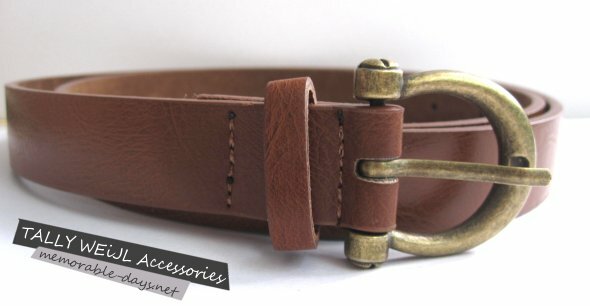 Don't you think that it's hard to find a simple brown belt now-a-days? I'm loving this belt, since it's of good quality, easy to match and it fits me well :). I'm wearing leggings EVERY DAY since it's very comfortable and its good looking, so you can guess that I have heaps of leggings at home hihi ^__^! I have lots of black leggings but also colorful ones and I especially like the ones with a print on it. I just had to add the ribbon legging to my collection =p. Tights are fun to wear as well and you can easily match it with clothes. I wanted to buy this polka dot tights for a long long time and I finally got it~! YAYY xD!! Do you like to wear leggings/tights ♥? The products are sponsored by the company - read the disclaimer page for more information.